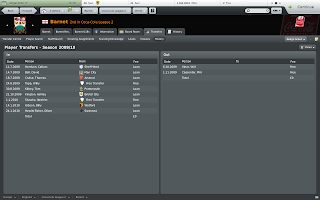 This is the second part of a series of posts outlining my experience of lower league management in Football Manager 2010 as Barnet FC. 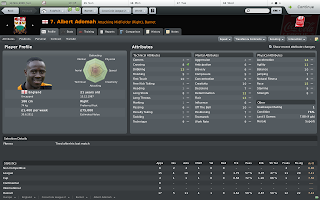 The first part is Football Manager 2010: Building the Barnet squad. I am nearing the end of the first season and am currently second in the Coca-Cola League 2. This season has been easier than expected thanks to my loan signings and my players have adapted well to my tactics. Unfortunately, I lost a couple of my best players in January, but loaned a couple more to replace these. I also performed quite poorly in cup competitions mainly because I wanted to concentrate on consolidating my league position and would not field my first team players to avoid injuries and to give them a rest. Moreover, my loanees could not play in these cup fixtures, so I ended up fielding quite weak squads. 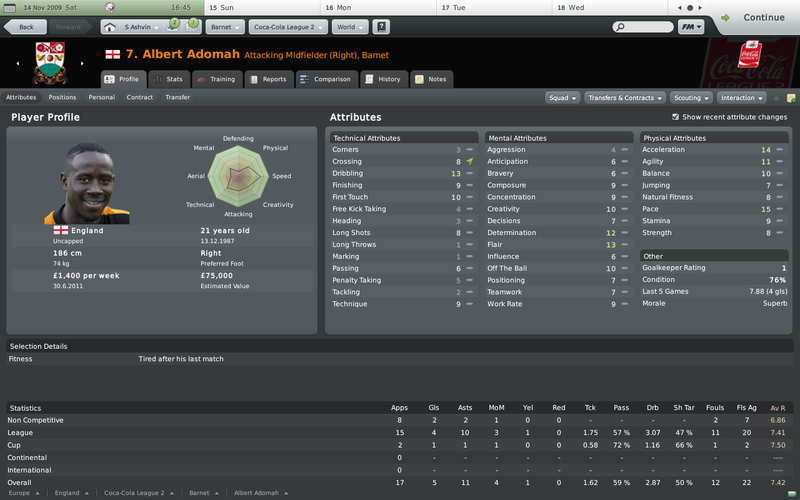 My best players have been Albert Adomah, Will Topp, and David Ball. 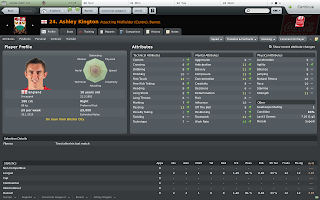 Ashley Kington, whom I loaned from Bristol City on transfer deadline day because I did not have any proper advanced playmaker, turned out to be a marvellous decision as he often dictated the play and would create chances out of nothing. Unfortunately, I was not able to loan him for the entire season and had to play without a proper playmaker from that point. I got a couple of players in during the January transfer window after Kingston, Bolasie, and Tom Kilbey (who didn't get much playtime because of injuries, but nevertheless performed well) returned to their respective clubs. Ibrahim Sissoko, a free transfer, particularly impressed, as he scored 2 goals after coming on as a second-half substitute on his third match while still lacking in match fitness. I was forced to bring him in as both Hyde and Hughes got injured in that match. In retrospect, buying him was an inspired decision as both Hyde and Hughes were injured for some time and I would have been lacking in the midfield department. I have about 8 matches left to play until the end of the season and will be able to post my final stats soon. Will Topp is still my highest goalscorer but hasn't scored in the last 5 matches. This may be because I asked him to drop deeper and it may have adversely affected his game. I was hoping he would be able to be the Coca-Cola League 2 top scorer, but this looks quitely unlikely now unless he starts scoring braces and hat tricks in these last fixtures. Go Barnet! To find out more, read my season 2009/2010 Barnet review.